Nick Kelly, PT works with a young athlete at a hospital in Washington. Eric Chipman, PT is treating people in his hometown, where he first learned about physical therapy. 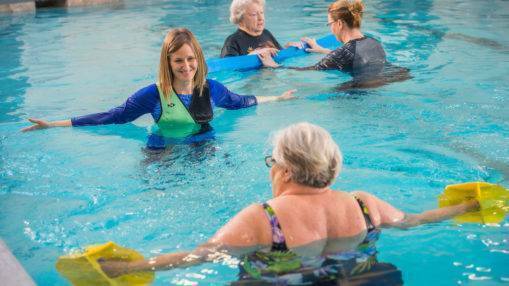 RehabVisions' therapists have started aquatics programs in many of our contracted facilities.